In Australia, online casino operators were banned from offering their services to Australian players in September 2017 after the introduction of the Interactive Gambling Amendment Bill 2016, and access to a host of reputable and licensed Internet casino sites is no longer available. 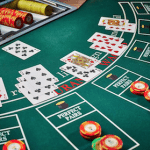 However, those who are located outside of Australia where online gambling is legal and are wanting to enjoy some real money online/mobile blackjack may need to use a VPN service in order to access blackjack casino sites that may be blocked from where they are currently residing, or simply for an extra layer of security. What is a VPN and why do I need it for online blackjack? A VPN (Virtual Private Network) can be utilised by anyone to alter their IP address and current network connection, replacing this information with a network and IP address provided by the VPN service. Attaining a new IP address from any gateway city in the world that the VPN service offers, allows subscribers to add an additional layer of security and privacy to their public and private Internet networks – your Internet data is diverted to a random server operated by the VPN provider, so it seems you are operating from an entirely different location, and so no prying eyes can spy on what you are doing. While often used to protect sensitive information, VPNs can also be used so the subscriber can access content that is currently censored in their jurisdiction (known as GEO blocking). For example, if a YouTube video was not available to view in Australia, you could access a VPN service to alter your IP address so that you appear to live in New York, or any other location on offer (where the video is made available). We have listed the best free VPN services that will provide your computer with an encrypted network connection, so no outside company/persons can intercept your personal information or view what you are doing, when you are logged into an Internet casino and blackjack gaming site. Advertisers won’t be able to see what you are doing either, so you won’t be infested with online gambling ads that you may not desire. The VPN services recommended will also help you to bypass any kind of GEO blocking, if required. HideMe – A Malaysian based VPN service that allows users to select from 28 servers across 22 countries. With fast connection speeds and top security, free subscribers are provided with 2GB of usage per month – ample data to give you privacy and unblock websites when required. Windscribe Offering strong connection speeds, Windscribe allows you to access blocked websites and provides you with a securely encrypted connection, capping data usage for free users at 10GB per month. It provides access to US, GB, CA, NL, DE and HK private network servers. Betternet Unlimited Free VPN Proxy – Available as a Google Chrome extension, this VPN service offers an easy and free way to connect to the Internet without any censor or restrictions. There are no advertisements and you are not required to register an account of any kind. It is compatible with Windows, Mac OS X, iOS, Chrome, Firefox and Android, and provides you with complete anonymity online. Note: As of September 2017, Australians are no longer permitted to play at online casinos and therefore we do not recommend any casino sites to Aussie residents. The information below is for international readers located within jurisdictions where online gambling is legal and regulated. 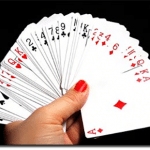 The following Internet blackjack gaming platforms each offer several unique, exclusive, high quality, graphically advanced, visually and audio rich, tested and approved blackjack games – both in the live dealer and random number generated format. They also offer hundreds of immersive video pokies games, roulette variants, baccarat titles, poker games, bingo, keno, scratch cards, virtual sporting and racing titles, video poker and many other table games not available at your local casino venues. Games can be played in real money and in practice play mode. Make sure to check out the live dealer gaming platforms, too. Online casino gaming is also a much smarter option in terms of player benefits (lower house edges, convenience, more variety and more frequent promos and bonuses) when compared to land based casino gambling. If you require a VPN to secure and hide your network connection, check out the recommended servers listed above and then register an account with one of the above endorsed Internet blackjack websites, to start enjoying quality games of 21 directly from your Internet browsers.